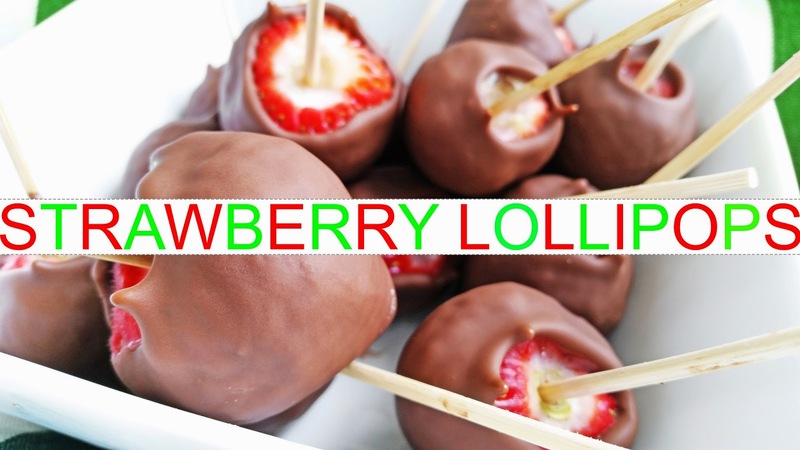 Yesterday I decided to use some of our leftover chocolate to make some chocolate covered strawberry lollipops. If you've ever made chocolate covered strawberries before you know that they can tend to be messy. What's nice about the lollipop method is that if you take off the stem you can just pop these in your mouth all at once. That way, kids can eat them and there's no mess. And what's even better is you don't even have to freeze the chocolate. 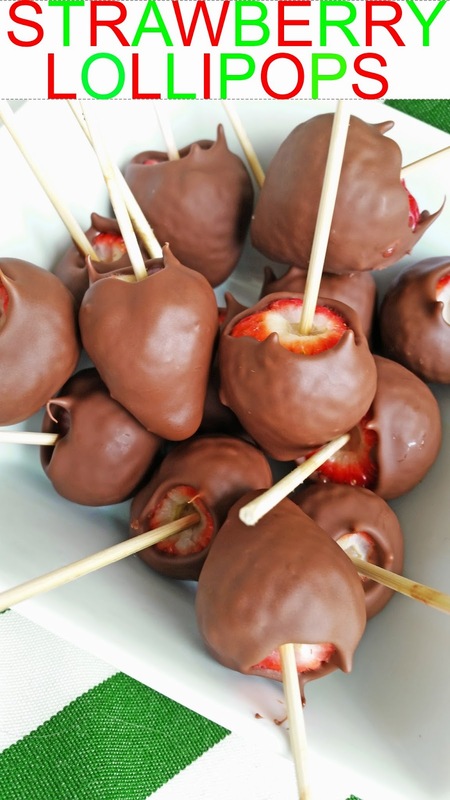 If you use this recipe the chocolate should freeze onto the strawberry like magic shell. These also make nice horderves. When you remove the stem don't take a knife and scoop it out. The stick won't stay put if you do that. Just remove the stem by pulling it. If there's a little stem remaining just use your finger nail to pick it out. You need something a little hard at the bottom so the stick will have some resistance when pushed through. See my pics for reference. It's okay to eat the white part of the fruit. 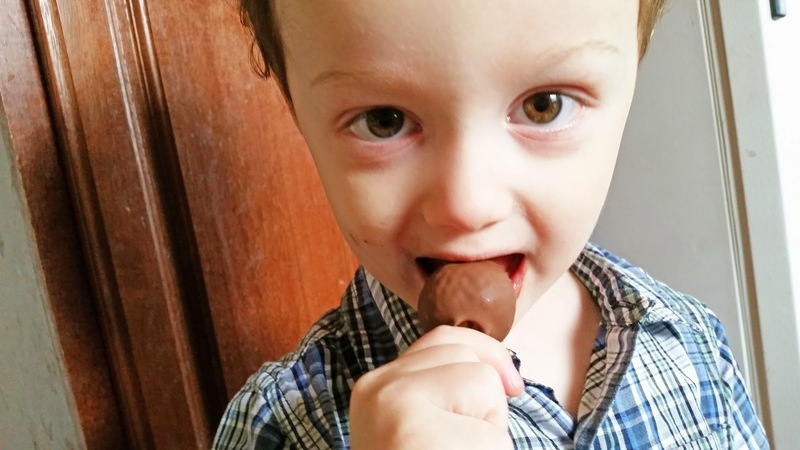 To make the magic hard shell chocolate just mix equal parts chocolate and coconut oil. Melt together then let cool. Stick your lollipop sticks through the bottom of your strawberries. 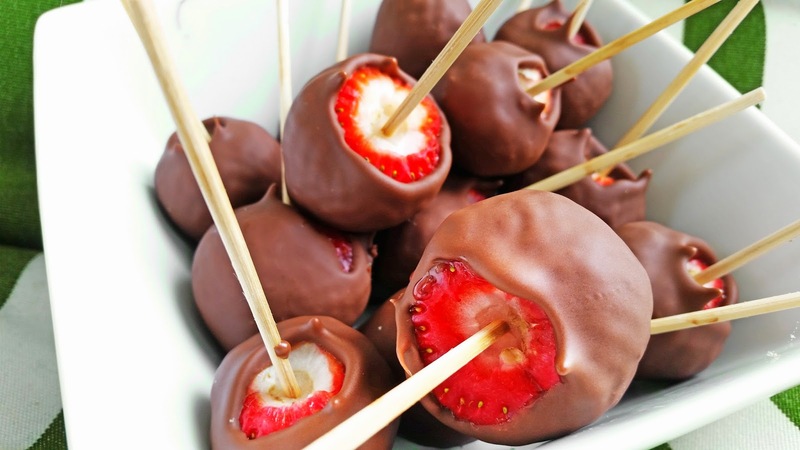 Then dip cold strawberries in your chocolate mix. 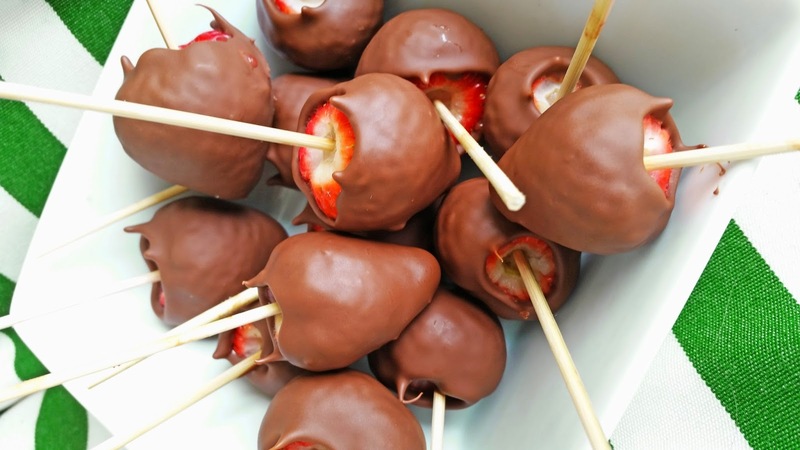 The chocolate should harden on the strawberry. Eat! The chocolate will be very thin but will harden fast. If you prefer thicker chocolate just add less coconut oil but you will have to put the lollipops in floral foam and freeze in the freezer which is messy and tedious. I recommend using small strawberries as they are easier to put in your mouth at once. 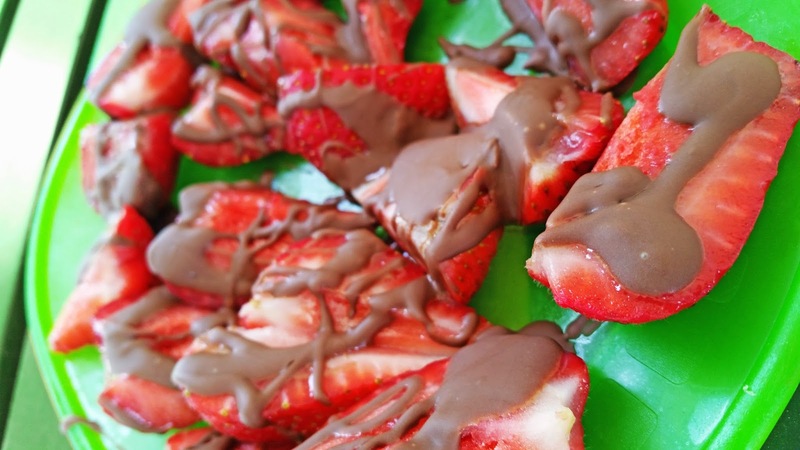 Then I used the leftover chocolate and drizzled over the leftover strawberries that were too big.